Swedish Punsch is a liqueur of two histories - a national drink in Sweden, and a component of more than fifty cocktails. 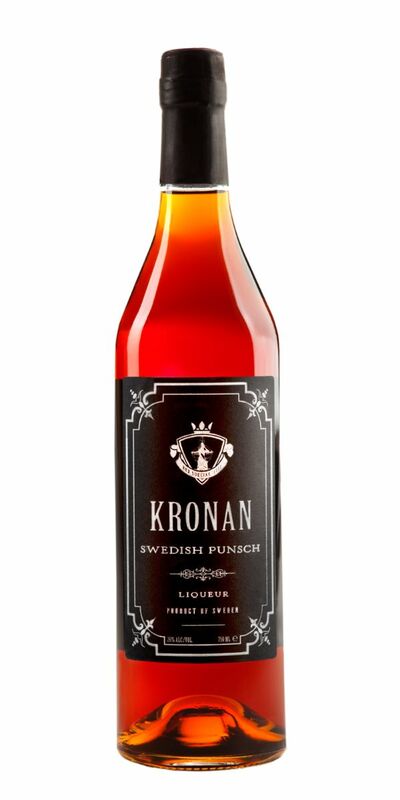 Made with rums from the West Indies (Demerara and Jamaica) and the East Indies (Batavia Arrack) and numerous spice and bitter flavors, Kronan has exceptional depth and complexity, particularly with a bit of citrus added. Use in the Doctor, Diki-Diki and Mabel Berra cocktails. With ice and squeeze of lime Kronan is ideal as an easy afternoon drink, after dinner or with cigars.